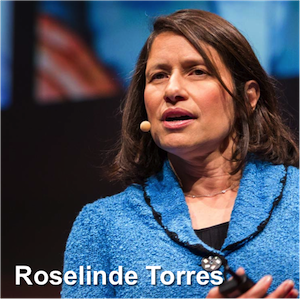 Roselinde Torres is an inspirational thinker, who is actively researching and developing the field of organizational leadership. Like many people, I first became aware of her through her ten minute TED video (which is embedded at the end of this blog). Her ideas are simple, but thoroughly researched. Torres is currently a senior partner at the international management consulting firm BCG – formerly Boston Consulting Group; perhaps most famous for the BCG Growth Share Matrix. 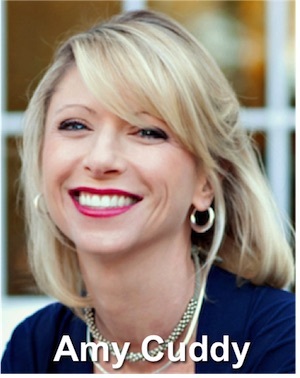 At BCG, she leads their thinking and research into leadership. Before working at BCG, Torres led internal consulting teams at Johnson & Johnson and Connecticut Mutual Life, and was also a partner at Mercer Delta Consulting. She studied English and Spanish at college, and also gained an MS in Human Resource development. 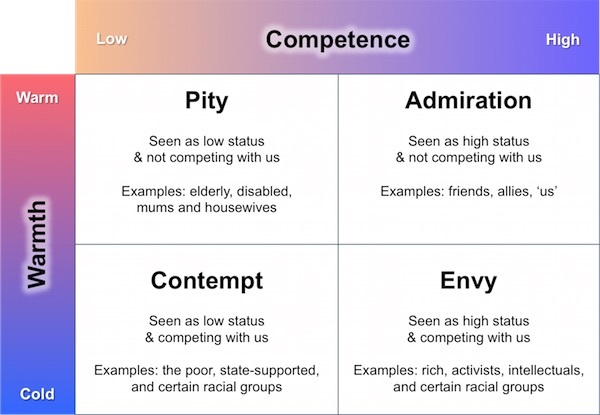 As regular readers of this blog will know, I am easily seduced by a good model, and I very much like Torres’ model of Adaptive Leadership. Adaptive leaders operate effectively in a modern uncertain and ambiguous environment, by creating the conditions to enable dynamic networks of stakeholders to work together, towards common goals. Torres argues that adaptive leaders need to build and enhance their abilities in four dimension – which she describes as new, but I think that is a touch hyperbolic. Navigate a VUCA (volatile, uncertain, complex, ambiguous) business environment, by embracing all of those subtleties, rather than by trying to over-simplify them or ignore them. For this, Torres argues, they need to cultivate a wide diversity of perspectives and share their leadership responsibilities. Empathise with the people they lead, seeing the world through multiple perspectives, and drawing people together. Follow a cycle of trial and learning. Adaptive leaders are not afraid to conduct experiments before committing the whole organization to a strategy. This means learning from failures, but also seizing successes. It can lead to greater agility combined with higher certainty of success. Create sustainable success for all stakeholders, by developing lasting assets like networks of collaborators, and influence into the wider social setting of the organization. In her TED video, below, Torres picks up on some of these themes and emphasizes three questions leaders need to ask, which I shall paraphrase. Do watch this ten-minute video, though. Torres is clear, eloquent and persuasive. Where are you putting your attention, so you can anticipate the next changes? How diverse is your personal and professional network? Are you courageous enough to abandon practices that have made you successful in the past? These are fabulous and thought-provoking questions. 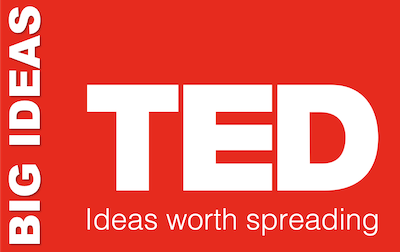 This talk is available on the TED website. An interview with Roselinde Torres on How to Cultivate the Next Generation of Leaders. Management Pocketbooks on Leadership: The Leadership Pocketbook. In last week’s Pocketblog, I suggested that marketers can create their very own niche, so that their business can win competitive advantage through being uniquely able to address the needs of that niche. The people who are passionate about your product, yet ambivalent about competing products with very similar functionality could be called your ‘Tribe’. 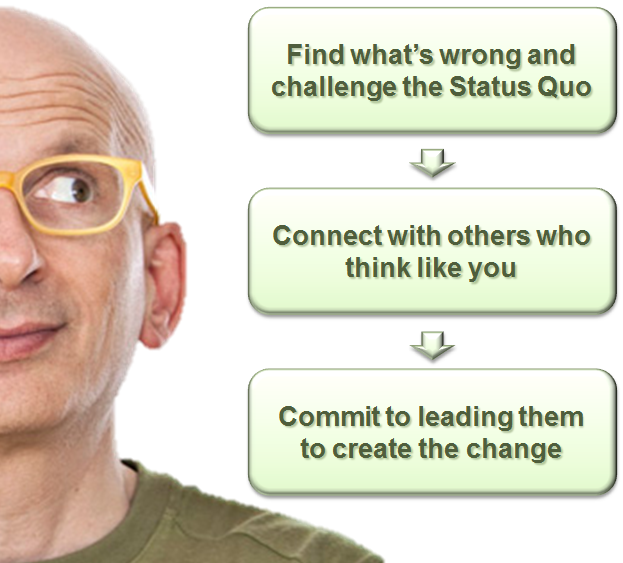 I have taken this use of the word from Seth Godin; marketer, author, blogger and above all, supreme creator of tribes, and author of the book ‘Tribes: We need you to lead us‘. People read his blogs and then buy his books because he is good at promoting his ideas. Many of his ideas are good, powerful and thought provoking, but his skill is in making it attractive for people to feel part of his tribe. They then pay for his books to feel closer to the tribe. 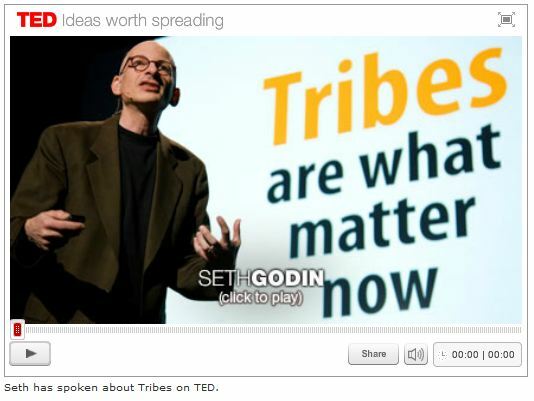 One of Seth’s strongest ideas is that Tribes are how we can bring about change. This gives him an implicit model of change that is simple and compelling. I call it an implicit model, because he does not articulate it as a model, so let’s unwrap what he says. Let’s look at each step of this model. Progress, said George Bernard Shaw, is is down to the unreasonable people who refuse to adapt to the world, but rather, seek to adapt the world to them. If you are going to successfully create change, you have to be prepared to be unreasonable – with the risk, of course, that you will not please everybody. Indeed, Seth argues that you have to be prepared to upset people. This is the aspect of change leadership that we might describe as visionary. You want to go it wholly alone, but that would be foolish, since why should the world change just because you alone say it should? So you need to create an alliance of people to push for the change. You need enough people so that they alone can sustain the change, even if you together cannot persuade the rest of us of its merits. This is your tribe. Arguably, upsetting people who don’t like the change is an essential part of tribe building: to create an in-culture, you must be able to clearly define an out-group. Here the change leader must exercise exemplary social skills. People want to be led. But leadership takes commitment: staying power. It won’t always be easy, because if it were, then someone would probably have done it already. This aspect of leadership takes character. What I think this step requires is an uncompromising attitude to setting and meeting standards. You must make the story that you have told your tribe live and breathe through your actions, the messages you give, and the things you produce. I suspect the video technology that TED uses is Flash, so this may not work on an iPhone/iPad. Sorry.